The following article is inspired by the book titled “To Be Victorious in LIfe” by Paramahansa Yogananda. It is my hope that this article will introduce you to something of the beauty in Yogananda’s insights. For more information on Paramahansa, see Self-Realisation Fellowship. The back cover of this booklet quotes “You have at your command the irresistible divine powers of mind and will to vanquish every obstacle in your path!” Comfortable words indeed, especially for those times when life feels like too much to bear. Paramahansa recommends that unless you have “happiness in the heart … you have no success.” (29) If you let go of happiness in order to desire more and more, then you end up lost in a multiplicity of wants. Success lies in learning the “art of inner contentment.” (30) In acquiring what you need, and learning to be happy with what you have. The old adage “Not my will but Thy Will be done” ever true for aligning with and feeling what the higher will is for us at any stage of the journey. Not to charge ahead with a myriad of desires but to sit quietly, ask for guidance, and act on what feels right and inspired by that quiet time within. To live as best one can, in a state of calm. To train the mind to be neutral. 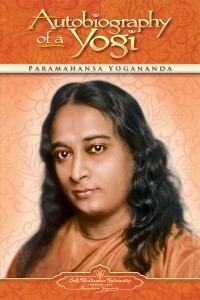 Yogananda recommends to study the way of the saints. “That which is easy to do is not the way of the Lord. That which is difficult to do is His way!” (69) The life of the saints has never been easy, and many if not most, have undergone intense tests along the way. 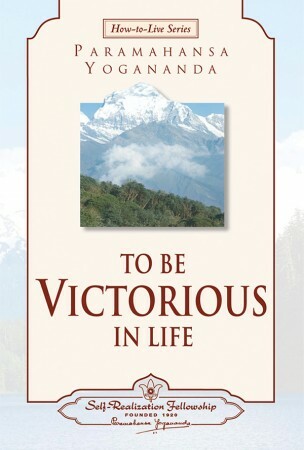 Reference: To Be Victorious in LIfe (2006) by Paramahansa Yogananda. Self-Realisation Fellowship. Los Angeles, California. USA. I have met many people around the world who have found that Yogananda’s book ‘Autobiography of a Yogi’ to be an excellent introduction and inspiration into understanding spirituality.